19 years of diabetes and low carb. In early 1993, I was feeling tired all the time. I was often thirsty, and was urinating frequently. My vision had been a bit blurry for a year, but I didn’t think there was anything seriously wrong. I had gained a lot of weight in the previous couple of years, reaching 210 pounds, but my weight had been coming back down. On Sunday, April 11, I went to Disneyland with my wife and kids. 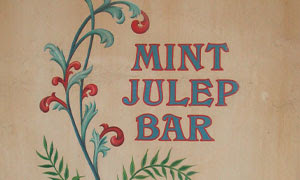 I drank lots of mint juleps (a sugar-laden soft drink available only at Disneyland’s Mint Julep Bar) – I was frequently thirsty – and ate several apple fritters. On Monday, we went to Maldonado’s Dinner Theater, where I ate my first and only Crème Brûlée. I liked it. The next morning, I went to a doctor for my first checkup in several years. I had a Coke and Hot Tamales (candy consisting mostly of sugar and corn syrup) just before seeing my doctor and having my blood drawn for a clinical test. Two days later, on Thursday, April 15, 1993 (tax day in the U.S.), I got a call from my doctor. He told me I was diabetic. My blood test showed that I had a blood glucose of 434 mg/dl; normal is 83. I was told they might need to put me in a hospital. A week later, I was given a more extensive blood test and learned that my A1c, a long-term measure of blood glucose level, was 18%; 4.5% is normal. An A1c of 18% corresponds to an average estimated glucose of 470 mg/dL, indicating that my blood glucose had been extremely high for at least a few months. Furthermore, my lipid panel (a set of tests measuring cholesterol and fatty acids, markers for heart disease) was terrible. My triglycerides were 415 mg/dl; normal is 35-160 mg/dl. My cholesterol was 285 (it should be under 200) and my HDL, the “good” cholesterol, was only 32 (it should be 60 or more). Not only was I a full-fledged diabetic – I was on track to get heart disease. I was immediately enrolled in a diabetes course at Cedars-Sinai Medical Center. I learned that symptoms of diabetes include increased urination and thirst, fatigue, blurry vision and weight loss – just what I had been experiencing. There were many potential long-term complications, including heart disease, amputation, blindness, and impotence. We were told that “A high consumption of … saturated fats will raise blood cholesterol levels, which may contribute to cardiovascular disease.” I was told to eat a low fat, high carbohydrate diet – the low fat part of the diet was to prevent heart disease and help lose weight. I was supposed to have cereal, fruit and skim milk for breakfast, for example. Oh, and by the way, I was supposed to keep my blood glucose under control. They made the mistake of giving me a glucometer (blood glucose meter). I quickly found that eating cereal and skim milk for breakfast along with a banana made my glucose take off like a rocket. “Artery-clogging” eggs and bacon had no effect. This was bewildering. Fortunately for me, the only Type 2 diabetes book in my local library was Diabetes Type II: Living a Long, Healthy Life Through Blood Sugar Normalization by Dr. Richard Bernstein, who recommended a very low carbohydrate diet (30 gm/day) and no restrictions on fat except no trans fats. Dr. Bernstein’s very low carb diet quickly brought my blood glucose under control and dramatically improved my lipid measurements. 19 years later, I have never needed to inject insulin, my most recent A1c measurement was 5.6%, I have no diabetes complications, and my lipids are excellent. The first endocrinologist I went to I found through Best Doctors. He was at UCLA, a top medical center. He told me he would rather have me on insulin than on a low carb diet. At USC, another top medical center, my endocrinologist snickered when I told him I follow the recommendations of Dr. Bernstein and advised me to go on a 600 calorie a day diet. If there is a silver lining to diabetes in this day and age, it is that home glucometers enable diabetics to see for ourselves what works and what does not. We rapidly find that current dietary guidelines are BS. It has been heartening to see a groundswell of support for low carb at the grass roots over the past few years. My most recent clinical blood test was excellent, as usual. My lipid panel was great. This was while I was on my usual diet, which is very high in fat, saturated fat and cholesterol (lots of so-called “artery clogging” food like butter, heavy whipping cream, eggs, red meat, etc.). My white blood count was 2,500/ml two years ago, the last time it was measured; normal is 3,800 – 10,800/ml. My endocrinologist told me that this low white blood count indicated my inflammation is very low, a good sign. Clinical Blood Test Results for Gary Noreen. Out of range results in red. *Triglycerides too high to calculate LDL cholesterol. Over the years, I’ve become better at cutting carbs. For the past 10 years, my A1c has usually been between 5.3% and 6%. I hike six miles one or two times a week, my main exercise. Following a stress echocardiogram in 2010, my cardiologist concluded that I have excellent exercise tolerance and capacity and no evidence of ischemia (inadequate blood flow). My entire family has high blood pressure, and I’m no exception – I’m taking two drugs to control blood pressure. My blood pressure was 109/76 mmHg in April 2012. So much for the dietary cholesterol hypothesis: that eating food high in saturated fat and cholesterol causes lipid problems leading to heart disease. Through the end of 2011 and the first months of 2012, when the food tests in this site were conducted, my weight has been 170±2 lb. I’m curious – your cholesterol numbers look good based on what I think your average cardiologist would tell you. Have you ever tried dropping the statin or are you planning to try dropping it sometime? I keep reading where too low a cholesterol isn’t always a good thing. From what I gather from reading Dr. Attia’s blog, http://waroninsulin.com/ , avoiding heart problems is basically about LDL-P anyway measured with an NMR test, not the numbers you measure in the basic lipid panel. Your story shows that carb restriction works – I just wish my husband believed it. I did stop taking Lipitor for a while. Both my cholesterol and my LDL went up a lot. I haven’t had any noticeable side effects from taking Lipitor, so I started taking it again. My HMO doctor orders the basic lipid panel rather than the NMR lipo panel. I’m going to see what it takes to get an NMR lipo panel the next time I see her. At least you’re taking CoQ10 to offset the damage the Lipitor is doing to your heart muscle. And what about the studies showing that statins also cause diabetes? It seems like it would make it worse if you already have it. I am quite certain I’ll learn plenty of new stuff right here! Best of luck for the next!